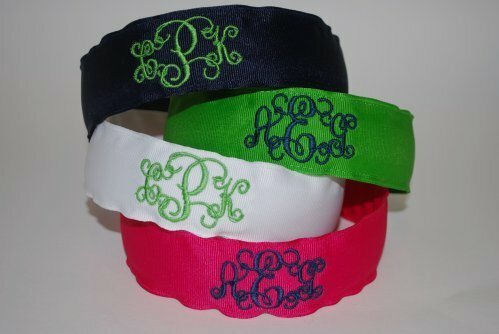 Any little girl will love our fancy script personalized headband. 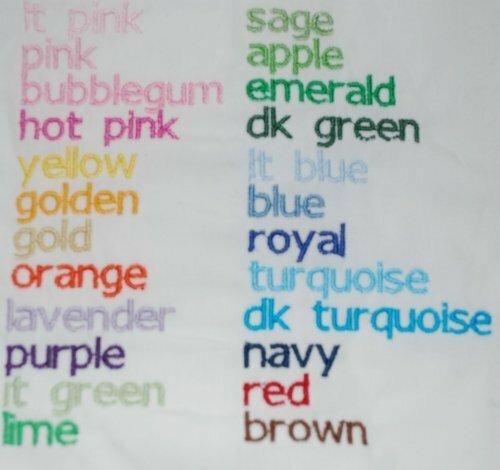 What better way to finish off any little girl's clothing ensemble than with one of these adorable custom embroidered headbands. This embroidered headband is made with a 1 1/2 inch wide grosgrain ribbon embroidered with 3 letter monogram in an interlocking scrolly font. 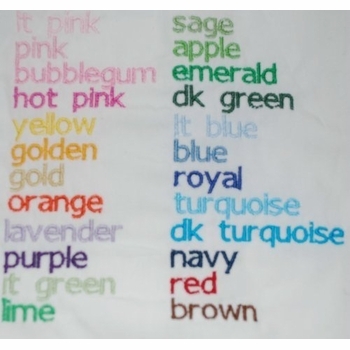 Photo samples are navy with apple green monogram, apple green with navy monogram, white with apple green monogram & hot pink with navy monogram Embroidered on the headband is your little one's monogram in your font color choice. 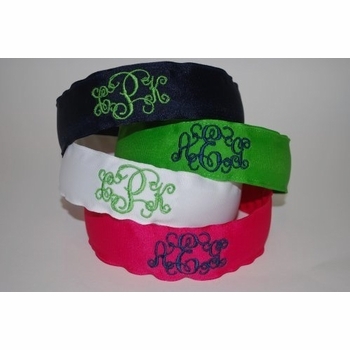 For an added touch, you can use two colors in the monogram as well. Custom made to order.